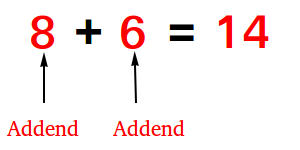 An addend is a number that is to be added to another number in an addition problem. In 15 + 4, 15 and 4 are addends. In 6 + 0, 6 and 0 are addends. An addend can also be a fraction!